Drs. Ken Spence and Roxane Spence both are highly experienced with wisdom teeth extraction in College Station and are ready to share their expertise with you. Wisdom teeth, also known as third molars, are the teeth in the very back of your mouth near the throat. They are the last of your teeth to erupt through the gums. People call them wisdom teeth because it's most common to get them when you reach adulthood (often 17 to 25 years of age). If you do not have enough space in your jaw to accommodate your wisdom teeth, they can become impacted, or stuck. Depending on how a wisdom tooth tries to shift, it can get through the bone but not the gum (soft tissue impaction), remain partially submerged in the jawbone (partial bony impaction) or stay totally encased by the jawbone (complete bony impaction). An impacted tooth can cause a number of complications. It can make it harder to keep the adjacent teeth and gums clean, putting you at risk for periodontal disease, infection, cysts, tumors and decay. It also can push on the nearby teeth and cause them to move. The result is either twisting or crowding, both of which, make oral hygiene tough. Not everyone needs their wisdom teeth taken out. If your third molars are not causing you pain, you can eat and talk normally and the other teeth aren't shifting due to pressure, it's often just fine to leave them in. Most people don't have enough space in their jaw for their wisdom teeth, however, so the extraction of wisdom teeth is more the rule than the exception. At Aggieland Dental Associates, Drs. Ken and Roxane Spence never do procedures they don't feel are beneficial. They evaluate each patient on an individual basis to determine whether the surgery truly is necessary. 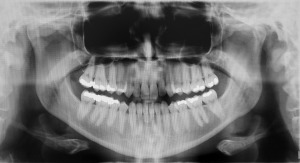 When you come in for a consultation, they can use advanced imaging technologies to see exactly what's going on with both the wisdom teeth and the surrounding structures, greatly aiding diagnosis and treatment planning. Once they analyze those images and have collected some information about your medical history, they'll share their opinion with you and discuss all of your available options. Today, technological and pharmaceutical advancements have dramatically changed the way most dentists approach this routine procedure. We are able to keep you calm and comfortable with non-IV conscious sedation and local anesthesia; our dentists pick the medication that's right for you based on the type of impaction you have, your medical history and your anxiety level. Dr. Ken Spence's experience as a pharmacist makes it very easy for us to get you additional medications to relieve your discomfort or swelling after the procedure. To schedule your consultation for wisdom teeth removal in College Station, contact our office at (979) 696-4511. Our appointment request form makes it doubly easy to get started!